I have never heard about NBS Trio up to this moment. And to no surprise because they come from Slovakia, precisely from Banska Bystrzyca, where in 1998 they founded this band and since then issued couple of albums and played many concerts home and abroad, Poland included, in such well respected venues as Warsaw's Tygmont or Cracow's At Muniak. But all this would not of course be enough for them to get into my Polish jazz blog had their last recording dedicated to Polish jazz giant Krzysztof Komeda was not such a gem as it reveled to be! One rehearsal after another I cannot stop listening to this record which pays hommage to Komeda in such a straighforward, fresh and unpretentious way that is exactly what Komeda attitude towards life, poeple, jazz was. Klaudius Kovac (piano), Robert Ragan (bass) and Peter Solarik go through Komeda compositions with utmost elegance (it's good to know that they played together with Scott Hamilton, American giant of classical jazz) but simultaneously they spiced this dish well with modern jazz sensitivity which was Komeda specialite de la maison. 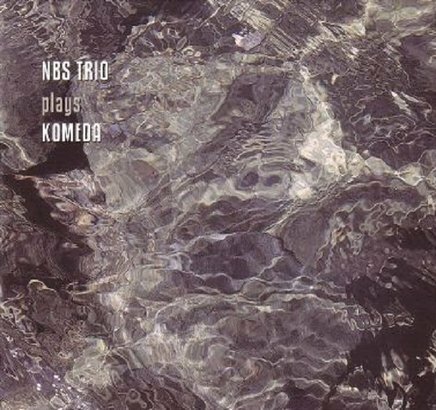 All in all this is unbelievably well played jazz proving that Komeda played in Komeda's way is still sounding better than so many newer, strange or even weird interpretations of his immortal works. My yesterday's visit to music shop was very rewarding. The shelf that contains Polish Jazz was full of new and intriguing items of which I shall mention only few: Aga Zarayan's, Polish talented jazz singer and her new album for legendary Blue Note label titled Looking Walking Being; Piotr Wyleżoł, pianist playing in tradition of Bill Evans and Keith Jarret, and his album Children's Episodes for good Spanish label Fresh Sound New Talent and avantgarde and indiejazz issue Goose Talk by Mikołaj Trzaska accompanied by Christian Bauer and Peter Brotzmann. 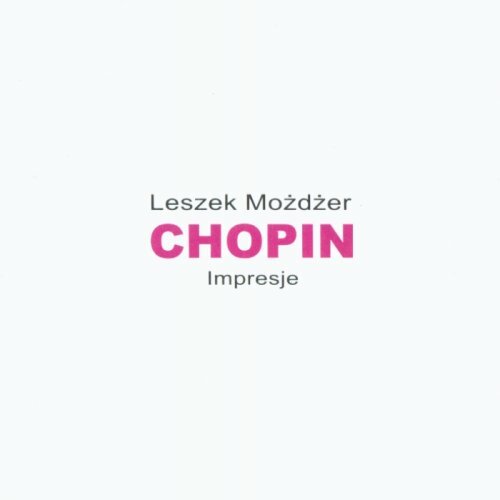 Of all those excellent recordings of this week I nonetheless choose another one titled Kinetyka by Leszek HeFi Wiśniowski. This is mainstream jazz played in creative and intriguing manner. The leader of the band is Leszek Wiśniowski, for whom this is second album after first titled Lechoechoplexita. He is second flutist I write about on this blog, after Krzysztof Popek, however second to no one in Poland. On this CD he was able to gather excellent band with such stars as violinist Krzesimir Dębski, pianist Paweł Kaczmarczyk (whose album Complexity In Simplicity for ACT label was probably the best polish jazz record last year), Tomasz Kupiec on bass, Bartek Staromiejski on drums, Dominik Bieńczycki on violin and Pramath Kiran on percussion. The music itself on this album is really extraordinary, although it's mainstream but it is full of tension, anxiety, distress. 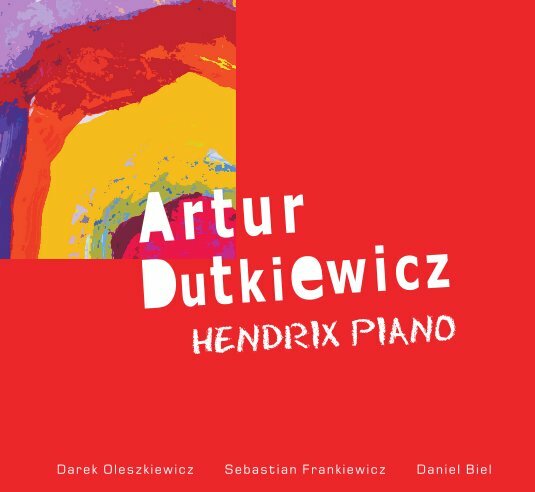 Exactly like the title of the album suggests there are present in this music so many conflicting directions but yet the personality of the Wiśniowski, his flute and saxes, miraculously give the artistic unity to this creative chaos. The strongest side of the album are numerous dialogues between Wiśniowski on flute, Kaczmarczyk on electric piano and Dębski on violin. 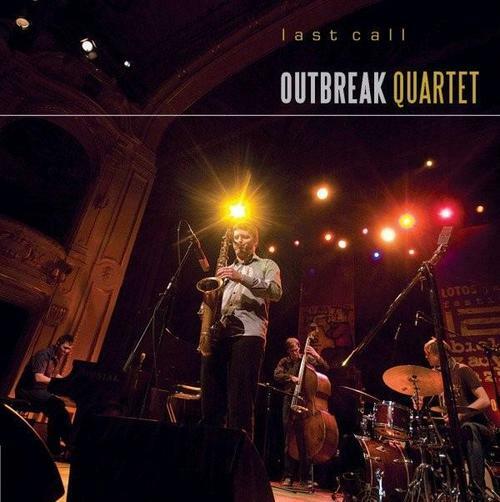 I can not recollect anything similar to those in Polish jazz, it is simple astonishing to listen to them! Last but not least all this music is so close to the best tradition of Polish jazz and such its masters as violinist Zbigniew Seifert or legendary Labolatorium group, one of the most imporant groups of Polish fusion jazz. 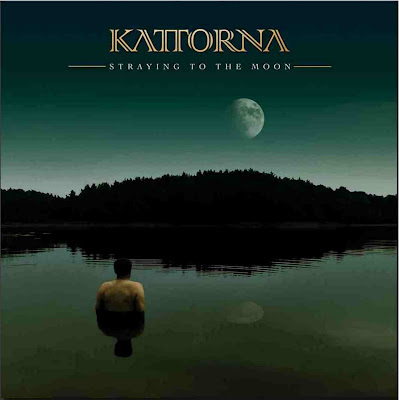 This is probably going to be one of the best jazz recordings in Poland in 2010. I respect a lot what Oleś Brothers achieved in recent years. This album is intended to commemoarte 10th anniversary of their artistic activity on Polish jazz scene. So looking back over those 10 years one must admit that Marcin Oleś (bass) and his brother Bartłomiej (drums) formed one of the best rhythm sections in Poland. If you are interested in what I think about them you can look at my note on this blog dedicated to their excellent Walk Songs issued 4 years ago. This record contains theater and film music composed by them over last couple of years. The album contains two CDs and a lot of music but surprisingly instead of satisfaction and joy it brings monotony and boredom. I truly regret to say so but I believe good feedback is essential to success in every part of life, music included. Surely the rhythms played on this album are often very attractive, the moods consistent and I strongly believe that this music may be simply excellent emplacement to theater and film shows but it unfortunately does not stand alone enough solid to sustain listener's attention for longer than just couple of minutes. 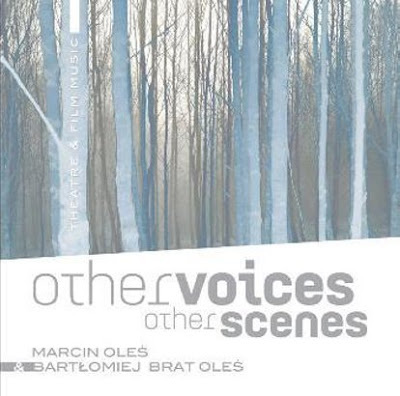 So perhaps Oleś brothers accomplished great success in writing and performing good music for film and theater but music itself is unsatisfactory on this album. And with such artists as Oleś brothers music should always come first. No compromises should be made! We all remember Miles Davis sound tracks to Ascenseur pour l'echafaud, A Tribute To Jack Johnson or Siesta. Although films are long forgotten music has preserved. This should be direction Oleś brothers should take since their talent certainly justifies even boldest plans. Still I am waiting impatiently for their next record, treating this one as more or (rather) less fortunate interlude. I am spending this weekend with this book. I am returning to Komeda over and over again since so many years. My love towards jazz has started years back with Roman Polański film Knife In Water which would be unimaginable without Krzysztof Komeda brilliant music. Without Komeda we would never have Polish jazz as it now is: avant-garde, cool and self-conscious, its identity truly unique and recognized throughout Europe and world. 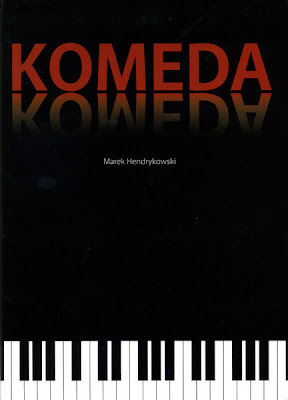 Unlike other Polish jazzmen, even most famous of them, there are many books and articles about Komeda. Surprisingly yet his life is still somewhat obscure and his music also eludes the definite analysis. Perhaps the reason is that his music and personality is still alive (although in 2009 it was 40th anniversary of his untimely death), it evokes response and is redefined by new generations of musicians over and over again. 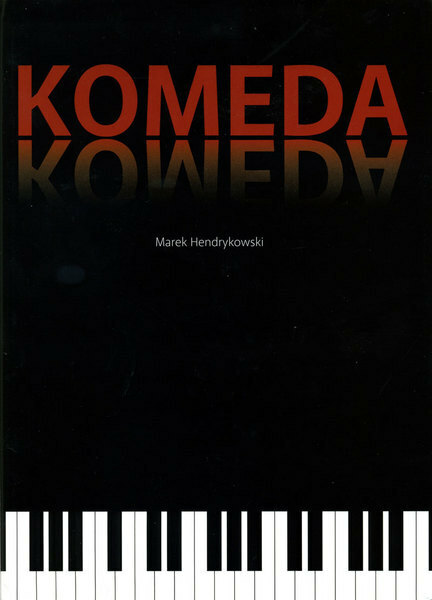 This book sheds light mainly on earlier stage of life of Komeda before he moved to Cracow where he was employed at famous Helicon club and where he met Tomasz Stańko. And on his work as film music composer. Such a point of view this book owes to the person of its author Marek Hendrykowski, professor at Poznań University and well-known author of many books on film art. Komeda started his career in Poznań where he studied medicine and from where his family came from. 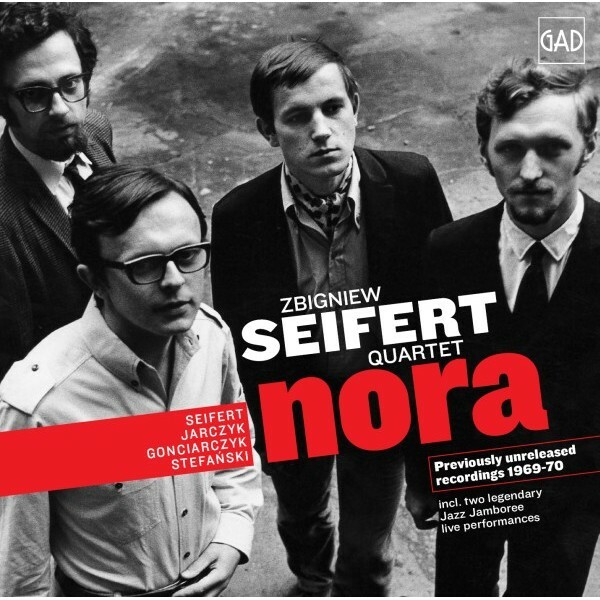 In Poznań he created his first band called Sekstet with which he gave first historic concert of modern jazz in Poland during 1956 Sopot Festival. It coincided with breakthrough in Polish political life when in 1956 again in Poznań there took place local uprising which though quelled in blood was the beginning of many changes in Poland's political life, all in the direction of its liberalization. Jazz was in avant-garde of this political movement, it embodied its juvenile and ludic roots. As such of course it wasn't supported by state and that was the reason why Komeda move to Cracow where it was easier to support himself as jazz musicians than in smaller Poznań. But still in Poznań Komeda made perhaps one of the most significant decisions in his life. In 1956 he completed his studies and started work in Poznań polyclinic as laryngologist and was offered 3 years science scholarship in Prague - a sensational beginning to his career in medicine. He hesitated for some time but finally supported by his future wife Irena he decided to resign from his career as doctor and dedicate himself wholly to jazz. His family was outraged and he had to face their frustration and his own regret that he will never be a doctor again. But this hard decision was also critical not only to his life but also to the history of jazz and to Polish culture in general. There are many such brilliant analysis in this book which make it truly a most valuable reading for anybody interested in Polish jazz. In June issue of Jazz Forum magazine I found CD of Outbreak Quartet titled Last Call. This band consists of 2 Polish musicians: Artur Tuźnik (piano), Tomasz Licak (sax) and 2 Danes: Emil Brun Madsen (bass), Rasmus Schmidt (drums). They were spotted when they won in last edition of Bielska Zadymka Jazzowa Festival which under the supervison of Jan Ptaszyn Wróblewski became one of the most significant jazz festival in Poland. Going back to musicians they all are students of Jazz Faculty at Carl Nielsen Academy of Music in Odense in Denmark. Through this collaboration these young musicians follow up in tracks of so many distinguished Polish and Scandinavian jazzmen who co-created European jazz since 60ties last century. There is some close affinity between jazz styles of Polish and Scandinavian players: it is rather cool jazz, moody, bluesy, dark and deep. And yet there are differences which are not so easy do describe, individual in case of every musicians but which keep creative tension high and which made such a meeting so fruitful in the past. Perhaps the most known Polish jazz tune Ballad For Bernt was composed by Krzysztof Komeda for his friend, Scandinavian saxophonist.